The term “glacier” conjures up images of massive sheets of ice that present formidable obstacles, and can only be traversed by the heartiest of individuals, with ice picks and snow cleats at the ready. Accessibility doesn’t even appear to be an option here. On the other hand, not all glaciers are located in the remote reaches of the polar ice caps; in fact, some are just a short drive away from major cities and even cruise ports. 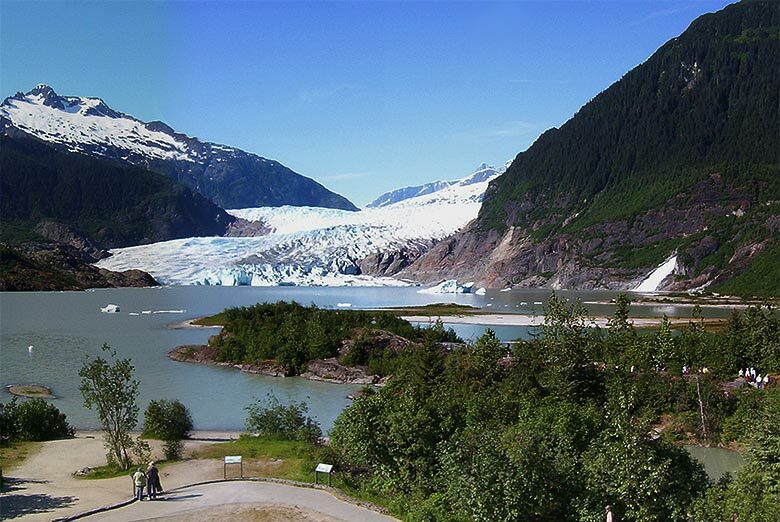 Such is the case up in Alaska, where these three glaciers are perfectly doable choices for wheelchair-users and slow walkers. Located a short drive from Juneau, Mendenhall Glacier (www.fs.usda.gov/detail/tongass/about-forest/offices/?cid=stelprdb5400800) is a very popular shore excursion; however it can also be visited independently if you have a car. It’s one of 38 large glaciers in the Juneau Icefield, and despite its vast expanse, it’s still quite accessible. There’s plenty of accessible parking in front of the visitor center, with barrier-free access over to the building. Inside there’s ample room to maneuver a wheelchair around the interpretive exhibits, or even watch the short glacier film. There is a $5 per-person admission fee to the visitor center and the surrounding trails, but if you have an America the Beautiful Access Pass — or any other national park pass — there’s no charge. The best view of the glacier is from the aptly named Photo Point Trail. 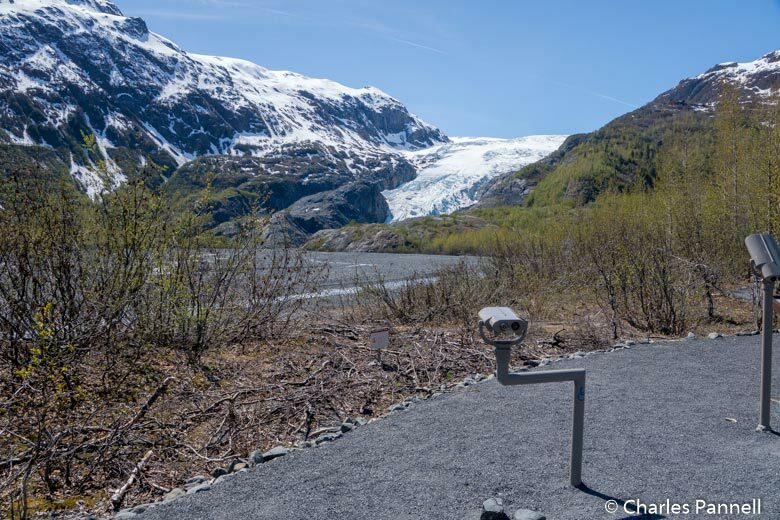 This .3-mile asphalt trail begins next to the visitor center, and terminates at a prime glacier viewing area on the shore of Mendenhall Lake. The massive 13-mile long and 220-foot deep glacier is clearly visible on the opposite shore of the lake; and to be honest it’s really hard to take a bad photo from this vantage point. For an up-close-and-personal look at Portage Glacier (www.fs.usda.gov/recarea/chugach/recarea/?recid=71943), hop aboard the mv Ptarmigan (www.portageglaciercruises.com) for a scenic cruise out to this Portage Valley must-see. The dock is located near Girdwood, about 48 miles south of Anchorage. Just follow Seward Highway south to Portage Highway, then turn east and take a right at the fork in the road. After that, it’s just a half-mile drive to Glacier Day Lodge — where you can purchase cruise tickets — and another short hop over to the dock. There’s plenty of accessible parking next to the accessible restrooms, with level access out to the dock. The ship features level access, with plenty of room to maneuver a wheelchair on the first deck. Folding chairs line the space next to the large picture windows, and there’s plenty of room for wheelchair and companion seating. There’s also an accessible marine toilet on the first deck, as well as a loaner manual wheelchair. 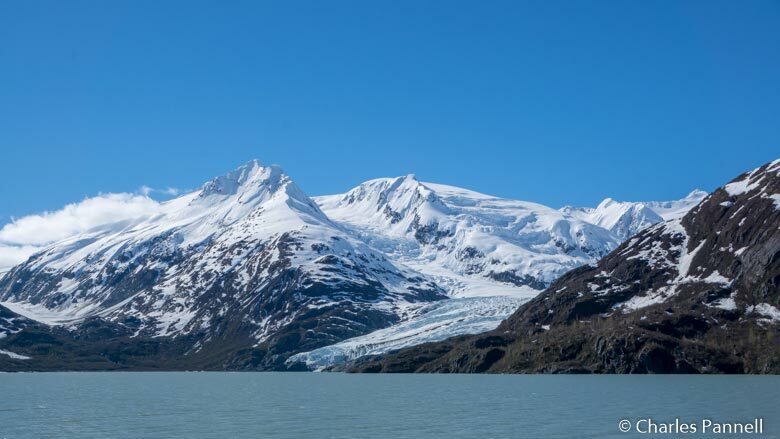 The one-hour calm water cruise is narrated by a park ranger, and besides getting a good look at Portage Glacier, passengers are also treated to views of Explorer, Middle, Byron, Burns and Shakespeare glaciers. And the definite highlight of the cruise is seeing Portage Glacier calve chunks of ice into the crystal blue waters of Portage Lake. Round out your accessible glacier tour with a stop at Exit Glacier (www.nps.gov/kefj/planyourvisit/exit-glacier-area.htm), located a short drive from downtown Seward. Not only is it one of Alaska’s walk-up glaciers, but Exit Glacier is the only part of Kenai Fjords National Park (www.nps.gov/kefj) that is accessible by road. It’s located three miles north of Seward, just off the Seward Highway. Keep a lookout for Herman Leirer Road and follow it for about eight miles, until it dead-ends in the parking lot. There’s accessible parking near the nature center, with level access over to the small building. Inside there are a few exhibits as well as a staffed ranger desk. There are also a few accessible picnic tables outside, near the accessible restrooms. The accessible one-mile loop trail to the glacier view begins on the other side of the nature center. The paved trail leads through a cottonwood forest and transitions into a hard-packed dirt trail topped with stabilized granite. About halfway along the trail there’s a level viewing spot, where you can get an excellent view of Exit Glacier, as it spills down the mountain from the Harding icefield. And if you didn’t bring along binoculars, there’s also a wheelchair-height viewing scope in the viewing area. And although the view is spectacular, the walk is also very pleasant, as there are interpretive plaques and benches to sit and enjoy the forest along the way. 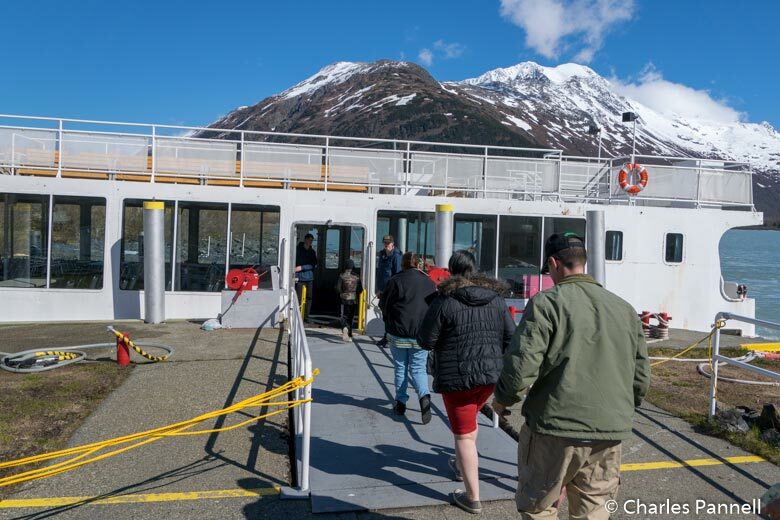 As an added bonus, Exit Glacier makes an excellent shore excursion, so put it on your must-see list if you ever dock in Seward.